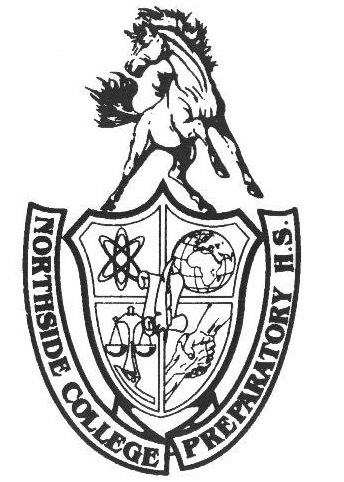 After an all too short three-day weekend and grueling week of final exams, Northside students are set to begin their second semester of classes on Feb. 4. For many Northsiders, the start of a new semester offers a refreshing opportunity to start anew with their classes and academics. Nonetheless, it is fitting that with the beginning of the second semester, students will have the ability to choose a new colloquium to more widely expand their academic interests. What makes this opportunity so unique, however, is not only that the current freshmen will have their first chance to pick a colloquium, but also because dozens of new colloquia have been added to the official course list for students to try. Although some of the courses, including the “History of Court Games” and “Making,” were already available to students during the first semester, the vast majority of colloquia for the second semester are brand new and as such, Northsiders are encouraged to participate in them depending on their interests. For students interested in exploring the intersectionality of science and community, two new colloquia, “Citizen Science” and “Northside: Changing Focus with STEM,” are great places to start. While both courses emphasize a focus on science and preserving the environment, each takes a unique approach to do so. Students in “Citizen Science’ will more directly focus on local flora, fauna, and invasive species that have begun emerging in the Chicagoland area. The STEM colloquium, however, takes a significantly wider approach, and will also integrate engineering, technology, and social issues into their discussions of science. In both cases, students will have the ability collaborate with various institutions, including the Field Museum and environmental justice groups respectively. On a similar note, Northsiders who want to explore the natural environment (namely the West Ridge Nature Preserve) around Northside can join Mr. Hennagir and Mr. McCormick in the “Into the Wild--Nature Kids” colloquium. Although the class will have a large focus on recording and detailing observations found in the nature preserve, students will also learn about nature-related philosophies, including transcendentalism and creating radio field recordings to recount their findings. However, as officially noted on the colloquium description, students should be wary of joining if they are unable (or unwilling) to walk for significant portions of the class. For Northsiders looking to expand their background in politics and electronic media, two new classes, “Phakenews, Phishnets, Neo-Cons and Neo-Libs” and “Picture Show Politico” offer a unique lens into government, politics, and the media. Taught by Mr. DiFrancesco, “Phakenews, Phishnets, Neo-Cons and Neo-Libs” challenges students to critically challenge the perspectives and ideologies of various news outlets, including Breitbart, the New York Times, Counterpunch, Citizenfour, and Truthdig. Students will examine the different sides of issues that affect Americans on an everyday basis, and do so through an analysis of journalistic sources. Moreover, “Picture Show Politico” similarly examines politics, but instead challenges students to look into American political history by exploring various films covering topics such as civil rights, major scandals, Cold War secrets, protests, and more. In addition, Northsiders will now have the ability to expand their interests in computer science with the new “Creative Coding” colloquium, co-taught by Dr. Nguyen and Dr. Bergman. Although the “Robotics” and “Making” colloquia have historically included elements of computer science curriculum, the “Creative Coding” course offers a unique starting point for Northsiders looking to jump directly into coding, with assistance from the NCP Code and Girls Who Code teams. In addition to creating robots, coding computer games, and looking into concepts such as computer science, students in the colloquium will also have the ability to go on field trips to places including Northwestern University and Chicago innovation hubs to further enhance their experience. One of the benefits of being a Northside student is the unique opportunity to explore nuanced realms of academics or fields of study that many high school students lack the ability to partake in. As such, Northsiders should push themselves to try out some of the aforementioned or various other new colloquia available to them during second semester. By taking a risk and exploring new activities, it is possible, if not probable, that students will find a new topic that will positively impact themselves and their educational experience. For additional information, the complete list of available colloquia can be viewed here.